The inventor of the assault rifle Mikhail Kalashnikov has died at the age of 94 according to various reports coming from Russia. Mikhail Kalashnikov is know his design of the automatic rifle that become the world’s most popular and widely used weapons. Mikhail design was so simple that it was also relatively cheap to manufacture. Also since it was simple it was much easier to maintain and reliable too. 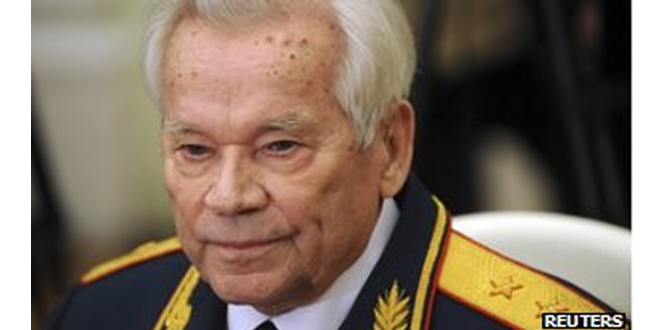 Although honoured by the state, Kalashnikov made little money from his gun. He once said he would have been better off designing a lawn mower. He was born on 10 November 1919 in western Siberia, one of 18 children. Next: Virus That Encrypts File and Asks Ransom Infects 250,000 PCs!